Ramen is the ultimate comfort food. Sun Noodle is making the best-quality ramen noodles in the world available to those of us who love them. Here at Blue Apron, we really do love them. 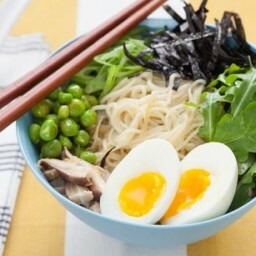 Using fresh Sun Noodles, we’ve made Beef Ramen Soup with Choy Sum and Enoki Mushrooms, Chicken Tsukune Ramen, and Spring Vegetable Ramen with Garlic Scapes and Soft-Boiled Eggs. Our customers made ramen at home, too–and filmed themselves doing so. 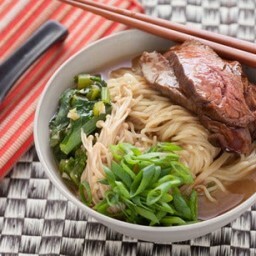 There will be more Sun Noodle ramen recipes coming to subscribers soon. Before your next bowl, watch this video to see fresh ramen get made. Sun Noodle is doing something really special. A family business founded in Hawaii and with a larger business on the West coast, Sun Noodle has recent come to the East coast to spread the mantra of fresh ramen to slurpers all over the country. Forget everything you know about crispy ramen in a plastic package, eaten in the dorm kitchens of the past; Sun Noodle’s way with ramen is the delicious future. Want even more ramen? You might also like this lengthier video from Eater, which features ramen-eating at many of New York City’s best Japanese joints–which Sun Noodle also supplies. 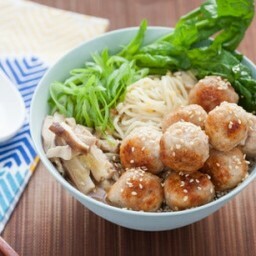 Ramen is all the rage, so let’s get slurping!